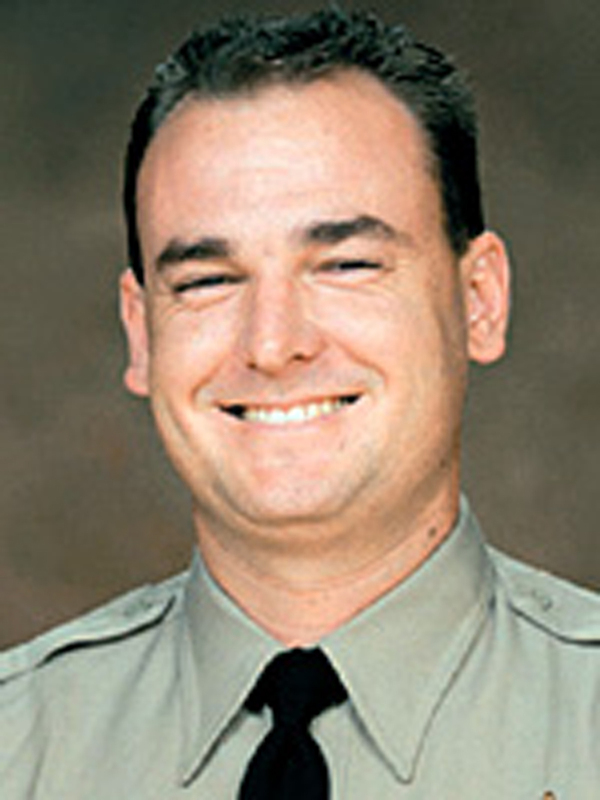 Deputy David W. March, Los Angeles County Sheriff, Memorial Interchange. Sign located on the 210 Freeway at the 605 Freeway in Irwindale. 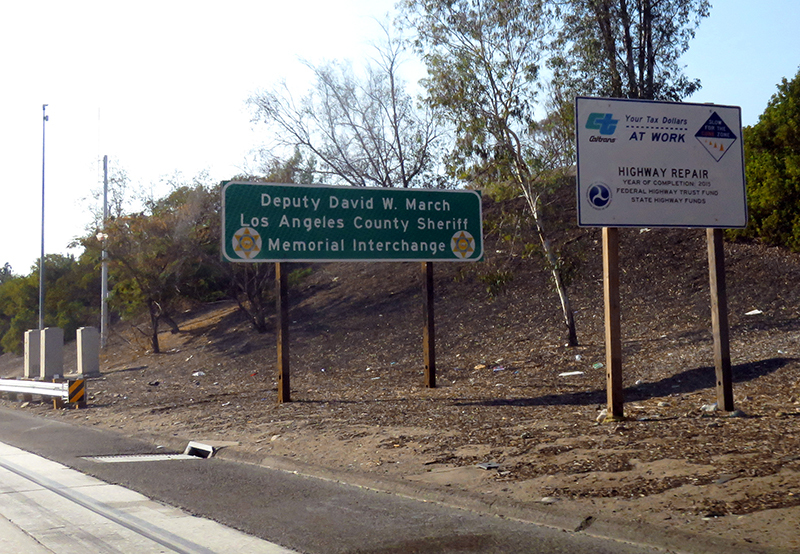 Shown is the sign on the westbound 210; there is also a sign on the eastbound 210. LW2833: 9600 dpi jpeg from digital image Sept. 5, 2015, by Leon Worden.